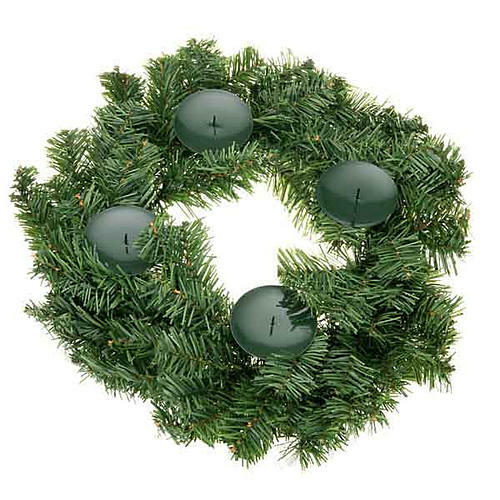 Simple advent garland with synthetic pine tree. 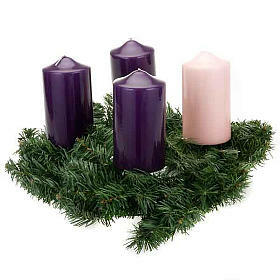 This garland can be used as an advent candle-holder with three purple candles and a pink candle (max. diameter 8cm) or it can be used as a Christmas deocration for your house. Above my expectations. 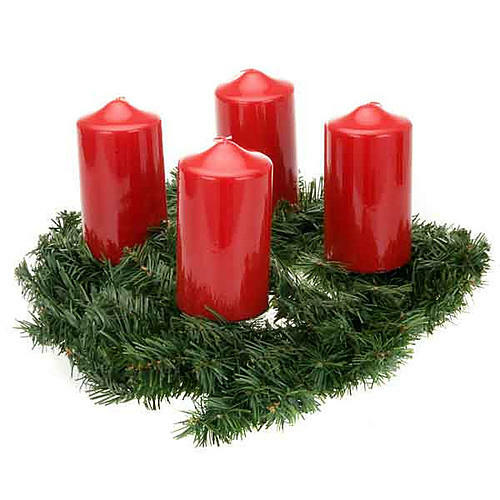 Realistic leaves and branches, stable candle holders. Great product great price! as always, shipping is fast! recommended! Envío oleh kerana ITU (como siempre) y en perfecto estado por la protección utilizada. El diseño es simple pero muy natural. El precio, óptimo. La OPCION más útil y sencilla para montar las velas de Adviento. Gracias de nuevo, amigos! Always fast delivery, arrived in one day and put immediately to work! Excellent value for money. For a small church like ours is ideal. Hi I often buy on your site. Advent Wreaths quality are excellent price maybe a little rinforzerei for candles supports. Excellent product! /Prezzo unbeatable value for money! Delivery time is really fast! Excellent quality and good product, invoice shipped with every care to avoid any damage.